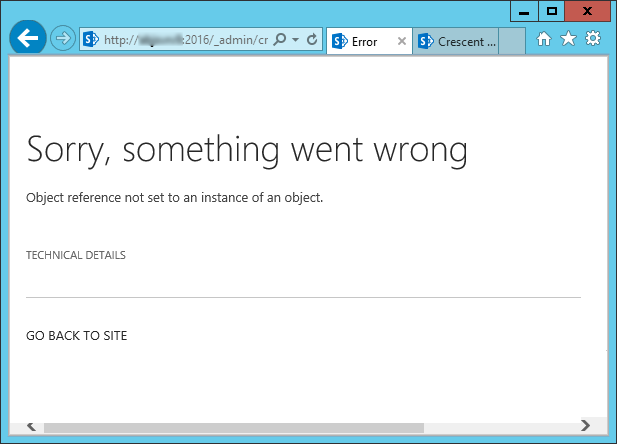 Problem: On creating a new Site collection in SharePoint 2016, got this error message "Object reference not set to an instance of an object"! This is due to a broken content database associated with the particular web application. Solution: Remove the invalid content database association by following below steps. 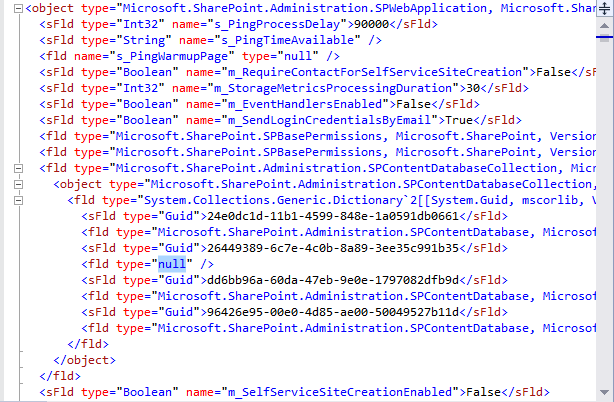 Use the below PowerShell script to get the ID of the web application in question. Login to your SQL Server, Open SSMS, Run this select query against the farm's configuration database. Click on the "Result" column value and search for "m_Databases" and find the database GUID with "null" value. Now, delete the broken database link using PowerShell. This would give: Exception calling "Delete" with "1" argument(s): "Object reference not set to an instance of an object." But don't worry. This error also occurs when your database server runs out of disk space!